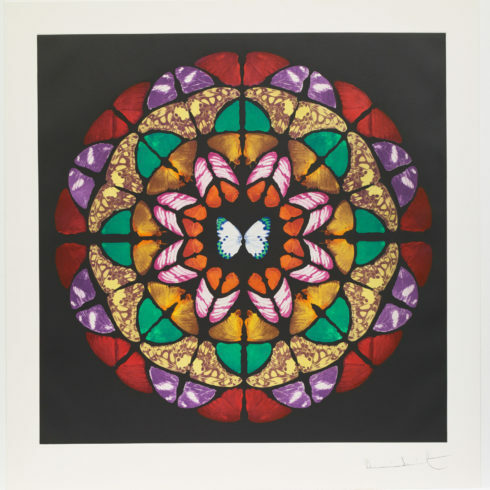 Damien Hirst, Psalm: Domini est terra is a silkscreen with Diamond Dust. This print is signed in the bottom-center of the page. This print is numbered from the edition of 50. Published by Other Criteria. 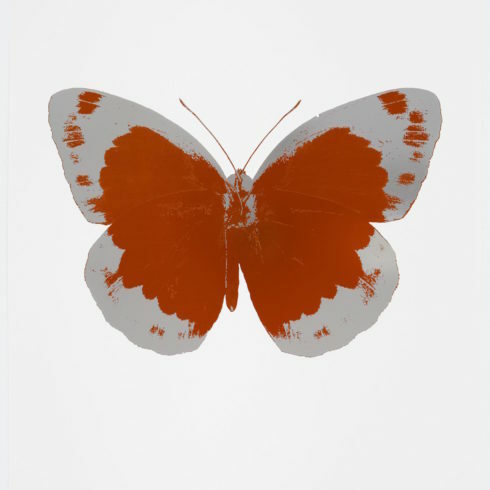 Psalm paintings are crafted from just two things: ordinary household paint and butterfly wings. 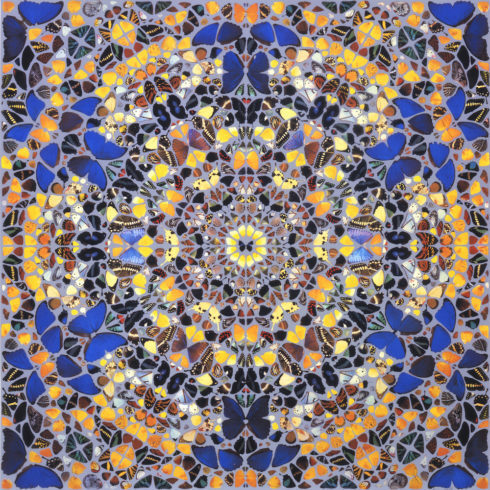 The result is a series totalling 150 works, all marvellous and wholly hypnotic, kaleidoscopic geometry resembling Gothic stained glass windows. 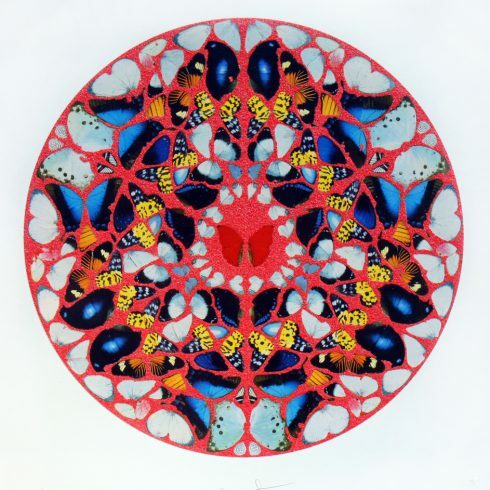 Damien Hirst named them after psalms from the Old Testament, thus this work being named Pslam: Domini est terra. 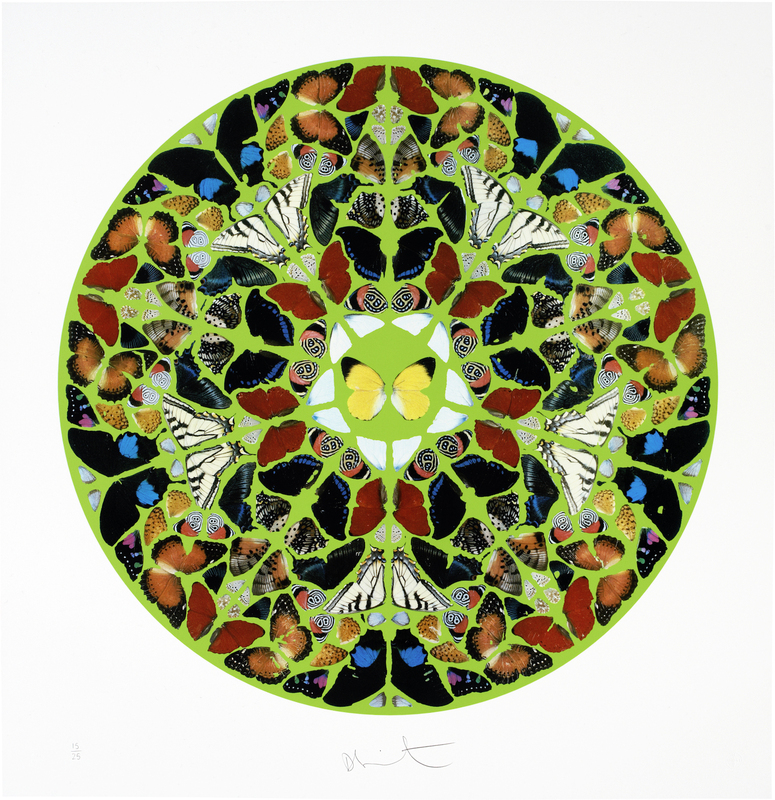 Damien Hirst is a British Conceptual artist known for his controversial take on beauty and found-art objects. 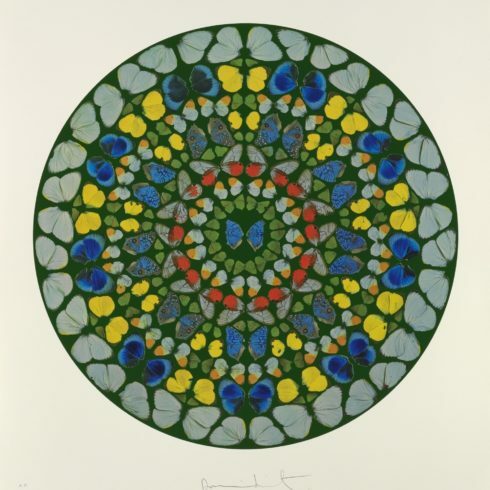 Hirst was part of the Young British Artists movement that rose to prominence in the early 1990s. “I have always been aware that you have to get people listening before you can change their minds,” he reflected. 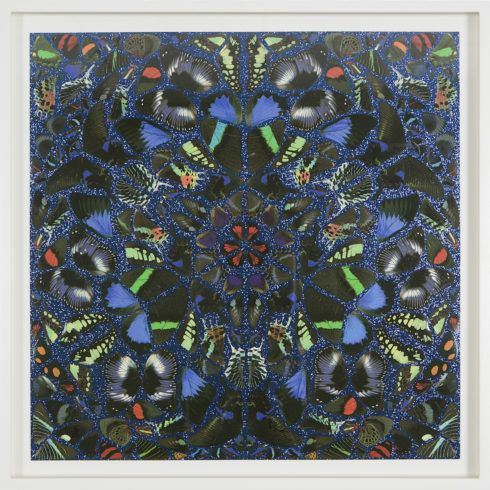 “Any artist’s big fear is being ignored, so if you get debate, that’s great.” Born on June 7, 1965 in Bristol, United Kingdom, Hirst was raised in Leeds. As a student at Goldsmiths College in London, his work caught the eye of the collector and gallerist Charles Saatchi, who became an early patron. Hirst’s The Physical Impossibility of Death in the Mind of Someone Living (1991)—a large vitrine containing an Australian tiger shark suspended in formaldehyde—was financed by Saatchi and helped to launch the artist’s career. 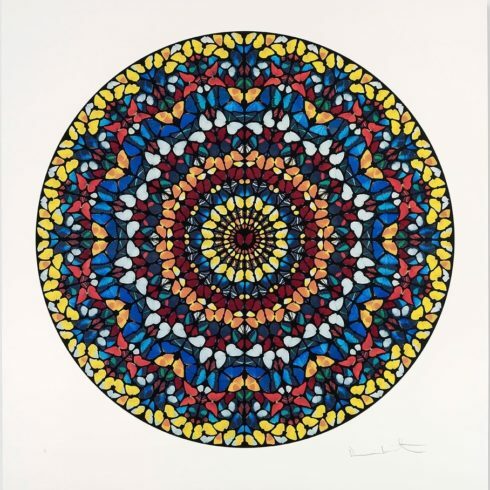 Hirst went on to win the coveted Turner Prize in 1995. 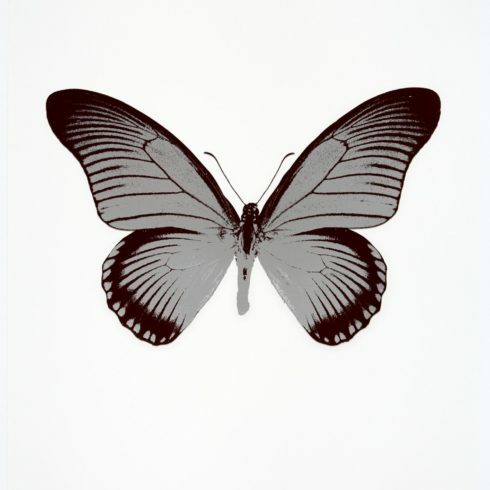 In 2012, he showed what went on to be one of his most controversial work in decades, the installation In and Out of Love, which consisted of two white windowless rooms in which over 9,000 butterflies flitted around and died. The artist lives and works in London, United Kingdom.